The Electronic Prescription Service (EPS) allows GPs and nurses to prescribe items electronically to a dispenser, such as a pharmacy, of their choice. Electronic Prescription Service (also known as EPS) was introduced by the National Health Service (NHS) to deliver a more cost-effective solution to give patients their medication. With repeat prescriptions proving a major contributor in rising prescribing costs, EPS is designed to remove the need for paper to consistently transfer between surgeries and pharmacies. Surgeries across the country are currently setting up EPS, with Cliff House Medical Practice in Lincoln and 20 Luton GP practises all starting to use EPS in October 2014. The system was first executed in 2007, which saw EPS Release 1 start up. 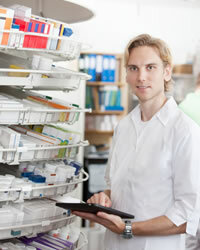 EPS Release 2 is the second, and most recent phase of the electronic prescription service. If you collect repeat prescriptions from your GP, EPS allows your GP to send the prescription electronically to a pharmacy nominated by you. Once you have signed up to EPS, you can also change your nomination or cancel your service later on by speaking to either a dispenser that offers EPS or your GP. People with diabetes are starting to be presented with tremendous flexibility as to how they wish to receive their medication. The information provided by GPs to patients reduces time spent travelling to distant pharmacies, while waiting times will be reduced as pharmacies can prepare your prescriptions before you arrive. There would also be an end to potentially losing paper prescriptions, while the most exciting aspect of EPS is that clinicians can analyse data to assess how effective treatments are used across the country. Patients with diabetes will therefore be assisting in providing information as to how their diabetes is controlled, in which prospective advances towards curing the disease could be made. EPS is completely safe, with your EPS only seen by the same people that would see your paper prescription, including GP surgery administrators, pharmacies and NHS prescription payment and fraud agencies. EPS also ensures that any doubts over what is written on paper prescriptions will be eradicated as the necessary medication will be clearly displayed on screen for each prescription. EPS will eventually be rolled out throughout all GP surgeries and pharmacies across England.